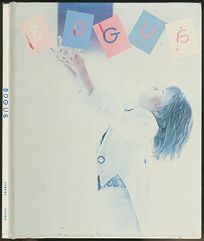 Bogus by Linda Sunshine is a fantasy about young Albert who, orphaned, must go to live with a distant godmother. En route, Bogus, a giant, magical man with a French accent, hops out of Albert's coloring book and adventures ensue. Illustrated with color movie stills from the upcoming Warner Bros. film starring Whoopi Goldberg and Gerard Depardieu.